Learn how promotional products can positively impact brand recognition with these helpful questions. What Is the Relationship Between Promotional Products and Brand Recognition? Why Are Promotional Products Important for Brand Recognition? When Is the Right Time to Give Away Promotional Products for Your Brand? How Do Promotional Products Affect Customers? Where Do Promotional Products Impact the Most in Your Business? Who Should You Contact to Create Your Promo Items? Before we dig deeper into the relationship between promotional products and brand recognition, let’s first discuss what these two are. What are promotional products? As the name implies, these are customised items that promote a company’s brand, products, and services. Promotional items are a marketing strategy that many businesses utilise to reach their target market. These items can be anything a company can think of, from promotional mugs to pens. What is brand recognition? It is the extent to which consumers or the target market can identify a certain product or service by simply looking at the brand’s logo, packaging, or tagline. It is different from brand awareness, where consumers only know the brand exists without the ability to identify the company through their marketing campaigns. Brand recognition happens when consumers acknowledge the marketing efforts of a brand. What is their relationship in business? Promotional products are the key for people to recognise a brand and its stake in the market. These items allow consumers to remember the brand for a longer period than when they see ads about a product or service on television, which can result in an increase in sales and brand recognition. Advertising campaigns that aim to reach a larger audience can be costly, but companies can opt for a cheaper option that can still reach the same audience. This is where promotional items come to play. Manufacturers of promo items provide affordable prices for mass distribution that businesses can take advantage of. The impact of these items is high when it comes to brand recognition, as consumers can recall the advertiser who gave the gift products. This means they will think about your brand first if they want to purchase items you are selling. For people who receive your gift items, they can instantly identify your brand when they see your logo on other items or anywhere else. For example, if you gave them promo mugs, these items can last for years, and people can use them longer too. When they spot your logo somewhere, they will instantly remember your brand because they have been seeing it every day on their mugs. Unlike ads on television or billboards where people can immediately see them for a few seconds, promo items allow consumers to keep your brand top-of-mind because they are actually using the products. This is a great way to increase your business exposure on a daily basis, which can create a long-term memory for people. Business cards work by introducing your brand to potential clients, and promo items function the same way. The gift items you give away are introducing your company to potential customers. Business cards contain your contact information, and promo items have your brand logo, slogan, and images that serve as their reminder of who you are and what you can do for them. Your goal is not just to have customers buy from you once, but frequently when needed. To achieve this, marketers usually spend more for additional campaign resources to promote products and services. With promo items, you only have to spend once, as these products stay with consumers to remind them of your brand. This drives them to choose your brand over others if they need your products or services, creating customer loyalty. You should first plan the release date of the promo items, like during your founding anniversary, holidays, or during a special occasion. Taking advantage of a special occasion or holiday to give away your gifts will make it more memorable to your potential customers. Promotional products primarily affect customer behaviours in a positive way. Statistics show that customers are willing to switch from their brand to yours to get your free gift. This opportunity allows you to sell your products or services successfully if you have a “free gift with purchase” offer. In some cases, your free gifts attract customers more than the product they purchased from you. Consumers can even re-gift your promo items to their family and friends, which increases your brand exposure. Promotional products increase your sales and brand recognition. These free gifts let consumers “take action,” which means they are willing to switch to your brand for the gifts, as what was mentioned earlier. Promotional offers are especially helpful at tough economic times when consumers prefer purchasing items with free gifts. This results to not only an increase in sales but also in brand building and recognition as people will remember you gave “gifts” when they need it the most. 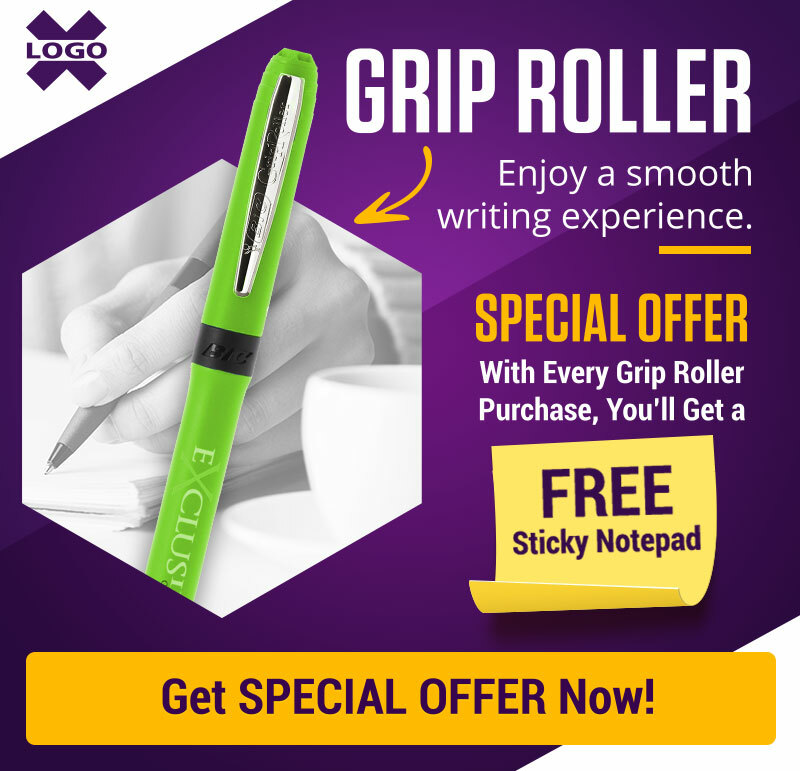 Logo X can help you increase sales and brand recognition with our promotional items. We are a company that has supplied promotional products ranging from corporate to promotional gifts for more than 20 years now. Logo X considers your budget and offers promo items in bulk so you can save more money. We also fulfil your merchandise requirements from artwork generation to distribution. Our company is willing to take the challenge of coming up with a promotional item that best matches your marketing campaign, which helps increase the chances for return on investment. Return on Investment Definition: Return on investment, or ROI, is a performance measure that evaluates the efficiency of an investment or compares the efficiency of various investments of a company. Promotional products are indeed an effective marketing strategy to increase and build brand recognition. If you want to make the most out of your promo gifts, contact Logo X now and let us help you achieve your business goals efficiently. What type of promotional products would you like for your brand? Let us know in the comments section.